For many of the Region’s residents, potable water is provided by dug or drilled, on-site wells. However, within Liverpool many areas are serviced by municipal water. The source water for the municipal water system is Town Lake on the outskirts of Liverpool, just west of Highway 103. Unlike many municipalities in Nova Scotia, the Region owns almost all of the land around the drinking water source. This makes it much easier to control activities and development that could pose a risk to water quality in Town Lake. The Region of Queens has over 1,000 kilometres of roads. 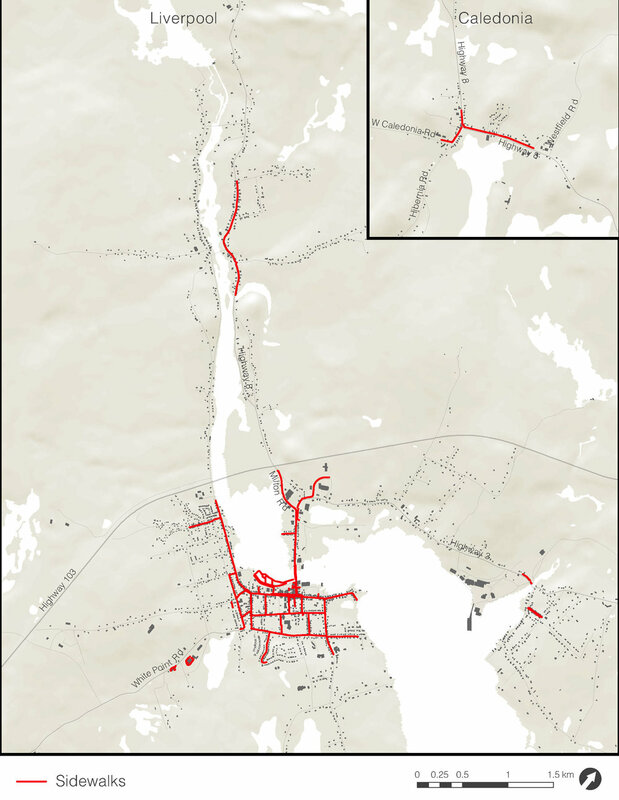 The majority of these roads are owned by the Province and maintained by NS Transportation and Infrastructure Renewal. However, the Region does own and maintain most of the roads in the former Town of Liverpool. Queens is also home to a significant amount of private roads, particularly along the coast and around inland lakes. These roads are owned and maintained by private residents. In some cases these roads will be maintained by a road owners’ association, made up of the property owners who own lots along the road. The Region of Queens has two central sewer systems: in Caledonia, and in Liverpool/Brooklyn/Milton. These systems typically use gravity to collect sewage at a low point for treatment. However, areas with rolling hills require “lift stations” at the bottom of each hill to force sewage up over the peak of the next hill. The Region of Queens continues to invest in its sewage system, both by renewing existing lines and by extending sewage lines to areas on the fringes of existing systems. In 2019 the Region extended sewer along Brooklyn Shore Road in Brooklyn. Within Queens there are 16 kilometres of sidewalks, mostly clustered in the central areas of Liverpool. The majority of these sidewalks are concrete and located only on one side of the road. Downtown Liverpool is the exception, with sidewalks along both sides of most roads. The Region does not currently require developers to include sidewalks when they are building new public roads. To receive project updates please provide your email address below. It will not be shared with 3rd parties, and will only be used to contact you with information about Queens: Planning for the Future.